The $ Factor: $ ($1.50-$12); Individual wine tastings range from$1.50-$4 while cocktails are $10-$12. 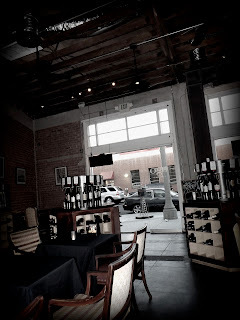 The 4-1-1: While its sister venue Ugo Italian Café is located on the major thoroughfare Culver Blvd., the entrance to Ugo Wine Bar is actually located off of Cardiff Ave.
I’ll Be Back…: For more of the Etude Pinot Noir! 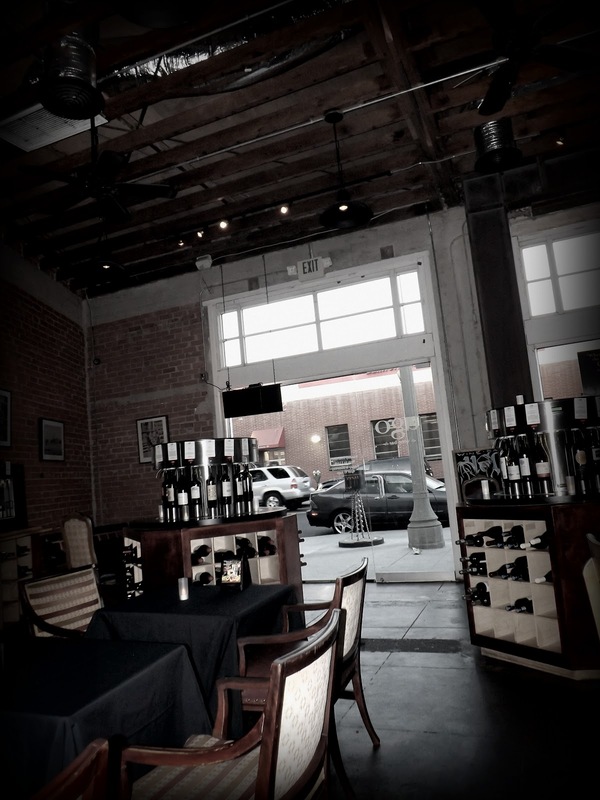 Ugo Wine Bar is by far one of my most favorite places to drink wine ever. Part of its attraction is its quiet and cozy ambiance that includes exposed bricks and beams and glowing orange candles. But its main draw to me is that it’s introduced an uncommon way to taste wine – through the Enomatic wine dispenser. How it works: get a tasting glass and a small card to add money (it’s up to you how much money to add – $5, $23, $100 – it’s your call). There are four machines with 48 wine bottles, all methodically labeled with the characteristics of the wine: its name, vintage, country and region of origin, varietals and even a few winemaker notes that describe how the wine tastes. The price of how much a one-ounce tasting is also listed. Take a walk around and once you find a wine worth tasting, set your glass on the machine, pop in your card – the amount of the tasting is subtracted, and out comes an ounce of wine. This wine bar is one of the first – and only – bars to have the Enomatic wine dispenser in the city, and it really a novel way to taste wines. Rather than a wine tasting room, it’s a do-it-yourself way that allows you to sample and sip as quickly or as slowly as you’d like. If there’s a particular wine that tickles your fancy, you can buy it by the glass or by the bottle. While some wines stay for months at a time, bottles are replaced on a daily basis, so you never know what you’ll get each time you visit. The staff is also extremely friendly and helpful, should you need recommendations or assistance. As for the wines themselves, while I’m definitely more of an avid drinker than an expert, I’ll still say that I appreciate how much variety Ugo offers. There are wines with origins from all over the States – the Central Coast, Napa and the Columbia Valley. There are wines from traditional locations, like France and Spain. And then there are wines from more unconventional regions, like south Australia. And if you’re not a wine fan or want to take a break from the wines, Ugo has some amazing cocktails as well. Two of my favorites are the white sangria (pictured below), which includes a dash of St. Germain elderflower liqueur and the ginger pomegranate martini, which is sweet, but certainly still strong. A menu that features food from the café is also available and on Football nights, there’s even a spread of Italian favorites like pizzas, bruschetta and proscetta (pictured below) that’s completely complimentary. So the next time you’re looking for a wine tasting adventure, whether alone or with friends, I definitely recommend Ugo Wine Bar. See you there soon! For the first time ever, playwright Jeff Stetson’s Fraternity has found its way to Los Angeles. 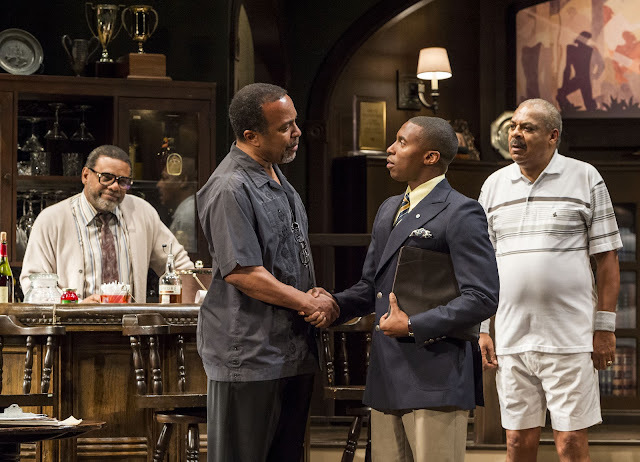 Directed by Henry Miller (James Baldwin’s The Amen Corner) and presented by the Ebony Repertory Theatre (ERT) at the Nate Holden Performing Arts Center, this political drama runs through October 28th. 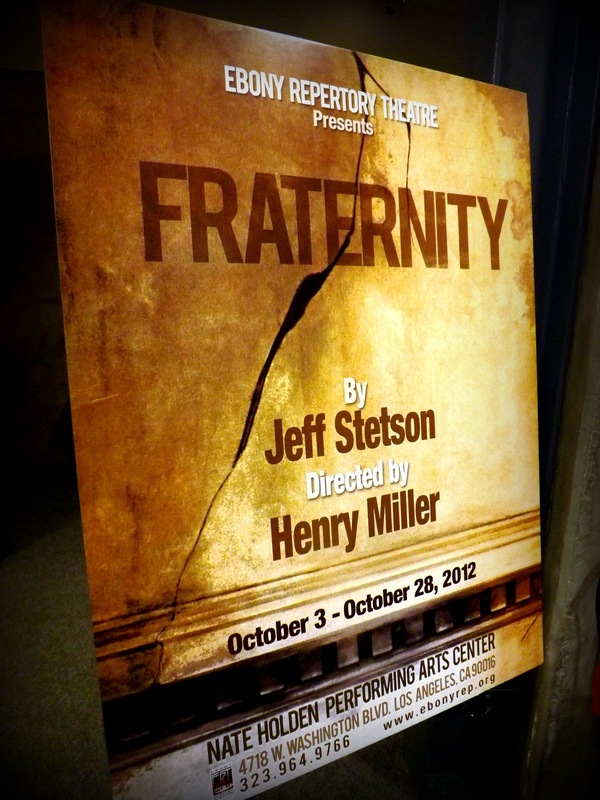 Through quick-witted verbal exchanges and heart-wrenching monologues, Fraternity moodily reveals how these issues threaten to violently break the fragile relationships and social structures that these men have worked so hard to build and maintain. 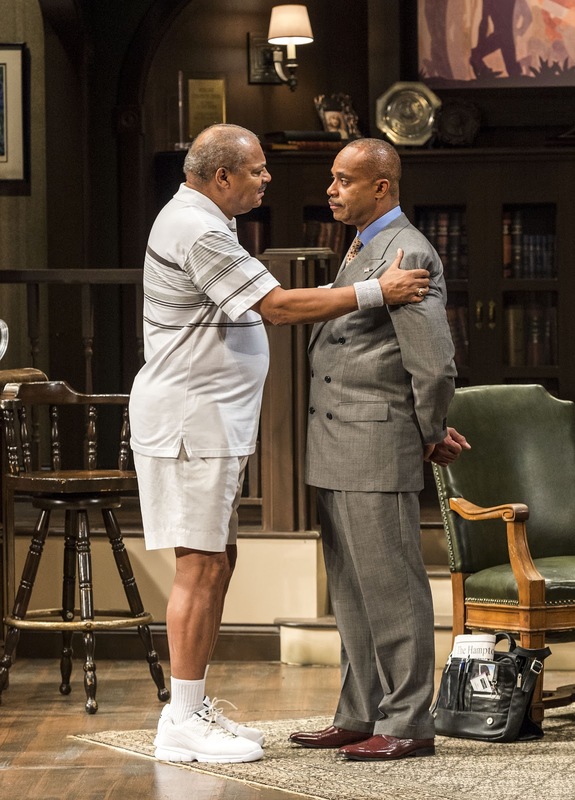 The two-act play opens with Rev. Wilcox (Harvey Blanks) and musician-turned-teacher “Turk” (Robert Gossett) comfortably lounging in the club, which is only accessible for affluent African-American men. Minutes later, the scrupulous venture capitalist Preston Gherard (William Allen Young) and his longtime friend and tennis partner, the authoritative Senator Charles Lincoln, energetically glide in, with the publisher of the town’s only black newspaper, Turner Greystone (Mel Winkler), not far behind. 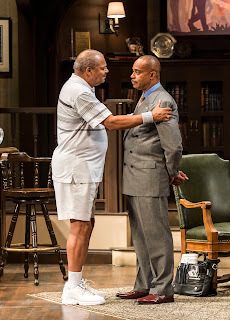 Thus begins the playful banter and friendly jabs that carry throughout the production, only to be interrupted when conflict arises – conflict that’s often in relation to two other men: Senatorial candidate Paul Stanton (Rocky Carroll) and prospective club member Brandon Carrington (Nasir Najieb). While both are promising leaders of the next generation, they are as opposite as can be, with Stanton representing change and new directions, and Carrington representing longstanding traditions. Their presence threatens the familiar bond between Wilcox, “Turk,” Gherard, Lincoln and Greystone, as the two young men unintentionally force the five older men to grapple with unresolved matters and an uncertain future. Credit must be given to the actors for their impeccable performances, both on an individual level and through their interactions with one another. The natural chemistry between them feels comforting and compelling, giving the strong impression that they’ve shared an unbreakable friendship for ages. Yet as their allegiances to one another are tested, each man individually – and quite poignantly – brings to surface his innermost, private thoughts and feelings. Behind the commanding image of Senator Lincoln is a mere man, deeply wounded by the growing lack of faith in his leadership; behind the cool, laidback profile of “Turk” is a grieving father whose pain is so deep that it interferes with his ability to continue pursuing his dreams. Indeed, it feels as though we are privy to the more vulnerable sides of humanity not always seen in portrayals of strong African-American men: despair, bitterness, grief, angst, insecurity, hopelessness. Fraternity also challenges the definition of success through its presentation of imperfect leaders. At first glance, all appear to be the crème de la crème – self-made men who have fought against a racist system to become wealthy and/or influential not jut in the black community, but in mainstream society as well. The young Carrington (pictured right in the picture above) graduated at the top of his law school class; the shrewd businessman Gherard can write $20,000 checks without so much as a blink of an eye. But perhaps that’s not enough. Perhaps, the drama hints, there is more to success than riches and intelligence. As the men become more and more immersed in the conflicts that surround them, their heroic images crumble, and what’s left behind is the truth: they haven’t lived up to their full potential – they’ve been too busy nursing deferred dreams or living contently in complacency; they’ve been plagued by greed, lack of self-identity and insatiable power struggles. As genuine emotions are expressed and the men’s true identities finally emerge, Fraternity poses a complex question: is the older generation willing and ready to pass the torch to the next generation, even if that means the relationships and social structures they have grown accustomed to might change? Some want Stanton (pictured right in the photo) to win over Lincoln (pictured left in the photo) because he represents change; others want Carrington to join the club because he will carry on their legacy. And in the midst of it all, some contemplate whether they personally met their ancestors’ expectations when the torch had been passed to them decades ago. What starts as a casual afternoon, with five friends relaxing in the comforts of the club they worked so hard to create, quickly turns into an unforgettable journey where men are forced to finally assess whether or not they’ve been men – and also human. 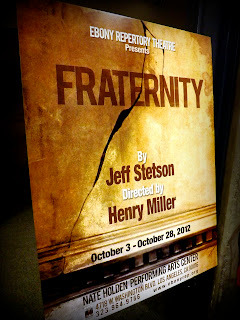 Fraternity’s honest and grippingly raw approach tells their story in a simplistic old boys’ club setting, filled to the brim with the silent complexities of their past and their connected relationships. 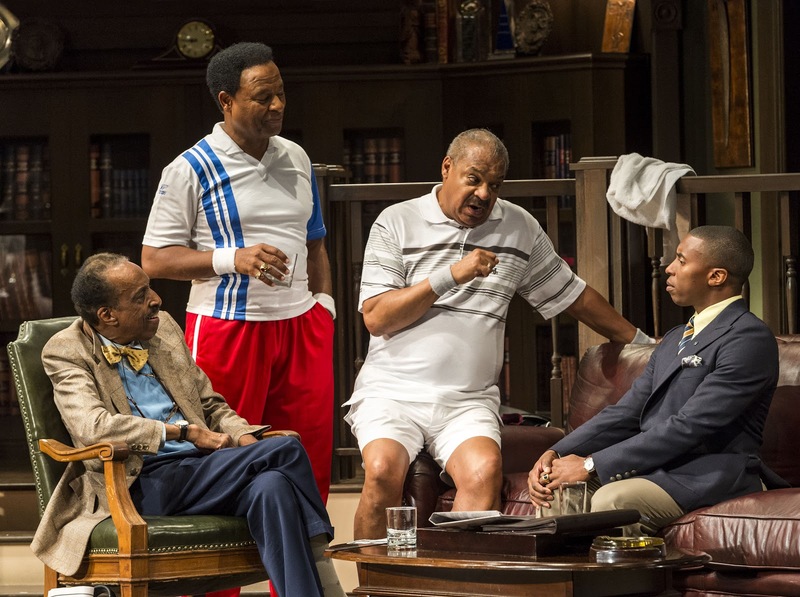 The play stirs up more questions than it necessarily answers, but it also captivates and provokes candid thoughts and emotions that will remain with you well after its two-hour run. Yet one autumn holiday that I haven’t yet experienced is that infamously rowdy German 16-day festival where we can all indulge in merrymaking, beer drinking and carefree games: Oktoberfest. 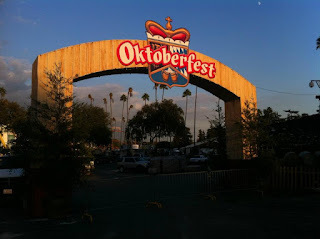 Time waits for no one, so this year, I’m heading to my very first Oktoberfest gathering at the Fairplex in Pomona (I’ll have to wait to get to the real "die Wiesn" Oktoberfest in Munich until a little later, but hey, you gotta start somewhere, right?). What’s your favorite fall merriment pastime and why? The person with the BEST merriment (picked by yours truly) wins the tickets! Don’t forget to include your first name and your location. All answers can be submitted in the comment box below, to wilsonsguide@gmail.com or tweeted to @WilsonsGuide on Twitter. Contest goes until Thursday, October 18th, 11:59pm PST. Winner will be announced on the #WilsonsGuide blog on Friday, October 19th. A big THANKS to Heather from the FAIRPLEX for donating the tickets!! 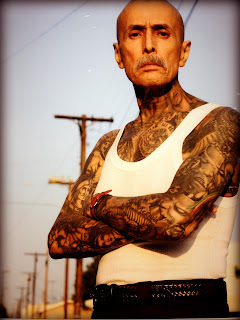 - It’s located on the L.A. County Fairgrounds at the Fairplex in Pomona. · This giveaway/contest/drawing/competition is free and open to anyone over 21 years of age. · Please note: all entries received may be potentially retweeted and/or posted on www.wilsonswheretoguide.com at a later date. If an entry is posted and/or retweeted, only the entrant’s first name or Twitter username will be posted in conjunction with the entry. · Once selected, winner will be given specific instructions on how s/he will receive the tickets and parking pass. 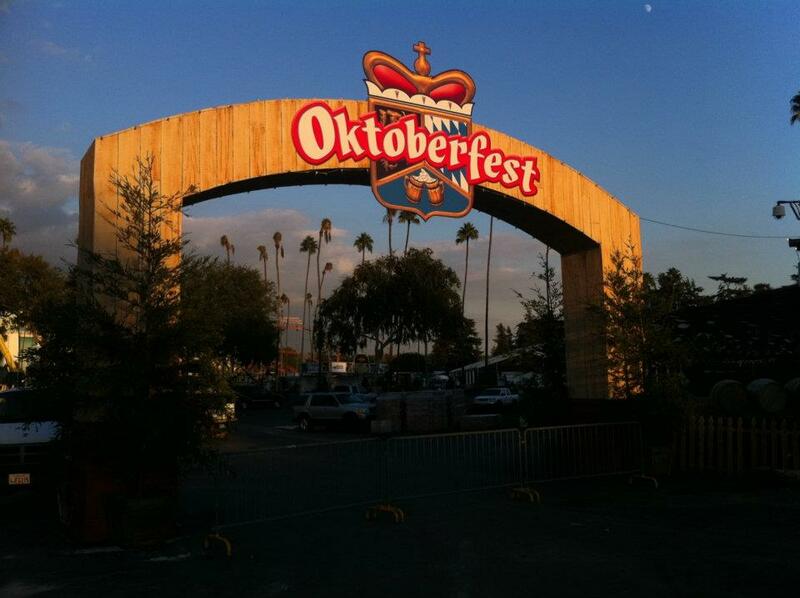 · By accepting the Oktoberfest tickets, winner releases the Fairplex in Pomona, Wilson’s “Where To” Guide and Miss Wilson and all of their respective officers, agents and employees from any responsibility or liability in connection with the awarded gift card. Winner also agrees to release the Fairplex in Pomona, Wilson’s “Where To” Guide and Miss Wilson of any injuries, losses, or damages of any kind resulting from acceptance, use, misuse, possession, or loss of the tickets. I’ll Be Back…: For the Spicy Tuna Crispy Rice and the Asian Ribs! When the invite to Yamashiro’s Happy Hour Launch Party landed in my inbox, a cry of delighted surprise escaped from me. I almost toppled out of my chair and I had to reread the words silently staring back at me from my computer screen. Whaaat?! 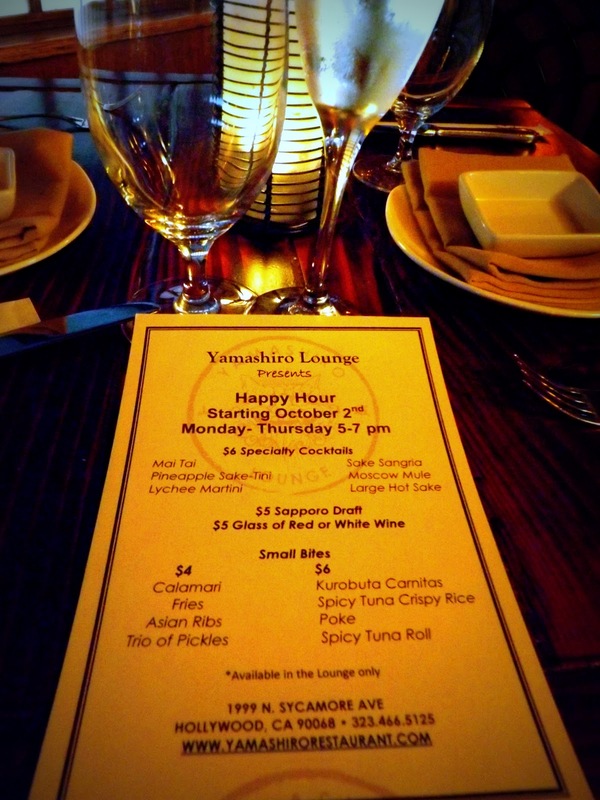 Yamashiro was introducing a happy hour?! Say it wasn’t so! In order to understand my shock, you first have to understand Yamashiro. In my humble opinion, this is one of the most ritzy, classy destinations in Los Angeles. Perched on a hill immediately above the Magic Castle with the glittering lights of Hollywood majestically sprawled out below, it’s welcomed an exclusive clientele since it opened in the 1910s, first as a private residence, then as a private club in the 1920s. It has decadently adorned rooms filled with authentic Japanese artifacts, a 600-year-old pagoda and one of the most incredible outdoor gardens, pictured below (read about its very unique history here). Hollywood big wigs, international business execs and everyone else who can afford $40 filet mignon have congregated here since it was converted into a restaurant three decades ago. Taking all of this into consideration, that’s why I was surprised to hear that it was launching a happy hour program. What would the price point be? How big would the portions be? Would it be worth it? All these questions plagued me as I drove up the windy road leading to the restaurant on launch party evening, impatiently wondering what would unfold before me. To my delight, the happy hour appeared to be pretty solid. Eight "small bite" plates range between $4-$6 and are well-proportioned; a friend and I ordered six items and felt extremely full afterwards. Many of the dishes that are on the regular menu ended up on the happy hour menu as smaller versions, like the tender Asian Ribs and the Spicy Tuna Crispy Rice, pictured below. My all-time favorite is the Kurobuta Carnitas, which has flavorful carnitas balancing on top of crispy rice. It’s the perfect reflection of the fusion of cultures right here in L.A. I didn’t see the homemade chips on the menu, but Food & Beverage Director Brock Kleweno brought us out a basket and they are amazing. They come with two ketchup and ranch dipping sauces and are a great snack to munch on. Definitely ask for them! There’s a wide range of $5-$6 beverages, including sangria, beers, wine and sake-tinis. Our waitress recommended I try one of the more popular drinks, the Pineapple Sake-tini (pictured below). My friend got the Mai tai. Both were fruity and rich in flavors. There’s also a very interesting sparkling cocktail from Tokyo, the JPop that’s pretty good. At the end of it all, I wouldn’t miss a Happy Hour at Yamashiro for the world. And I mean that sincerely. It’s an irresistible deal, with the chance to experience the best of an L.A. landmark – the ambiance, the incredible view and spectacular CalAsian dishes – at a very, very low price. It’s like getting a Ferrari at the price of a Toyota. So the next time you’re looking for a great happy hour at a real deal in the Hollywood area, you know where to turn. See you here soon! Last Sunday, I announced the 7th Wilson’s Guide giveaway/contest/competition/drawing for a $50 Brunch for Two at Luca on Sunset, a lovely restaurant that is also a previous #WilsonsGuide pick. Saturday, September 22nd marked the first day of fall. That’s right – summer is officially over. But just because we’re packing up bathing suits and flip-flops doesn’t mean we have to pack up those good ole summertime memories. What was your favorite memory from this summer? Perhaps it was a much-needed vacay, a beach day, or simply basking in the plentiful sun rays. Whatever – and wherever – it is, I want to know why it was your favorite memory! Be as descriptive as you’d like, and photos, although optional, are always welcomed. I really wish I could give everyone a gift card---seriously!!! Take a look at what people had to say….at the bottom in bold orange writing is the winner. @gourmetpigs: "fave summer memory: getting the chef to add seared foie gras to my lamb dish And foie torching to my dessert in Seattle ;)"
@PDiesl: "My fave summer memory has got to be relaxing poolside in Vegas. Summer just ain't complete w/o a trip to sin city." @BIKESANDHIKESLA: "@LucaOnSunset Favorite 2012 summer memory: taking you out on our Hollywood On Location Bike Tour!" Lauren: "Just recently I traveled to my hometown of PG County Maryland to surprise my mother for her 54th birthday. My best friend of 15 years ran all over town with me picking up fun decorations, and party favors to make the surprise even more delightful! I must say she was thoroughly surprised! We greeted her at her front door with balloons, presents and lots of love! To see the look on her face, her smile, her eyes illuminated with the warmth of love gave me more joy than any gift could buy! Priceless! We spent the weekend just spending time and it was awesome. A feeling of gratitude has been placed over my heart and I only pray that I will be able to continuously have priceless moments even grander than this! Thank you for listening to my story." Yazmin Monet: "Backpacking through Europe with my lover and best friend. We spent the entire month of July exploring Paris, the south of France, Barcelona, Madrid, Lisbon, and went to a traditional Portuguese wedding in Pombal (where his step brother was getting married). This has definitely been a summer I will never forget." Kristina: "My favorite memory is spending the month of August and the first week of September traveling. I never took a break after graduating grad school last year, and now I was traveling. In August I raised enough money to teach film to young girls in Thika, Kenya for 2 weeks. Then I spent a week in London, and linked up with 2 friends I knew from college, and through friends. 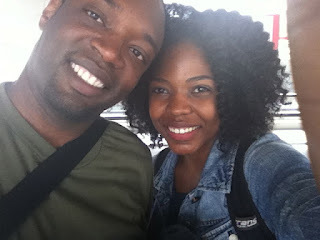 But it was when I flew to D.C. for the Howard vs. Morehouse game, it ended the trip on a great note. My friend bought me a game ticket. I tailgated for the first time, saw friends I hadn't seen in years! Plus I got front row seats at the game. Since I brought my Canon 7D, my friend dared me to run on the field to take pictures. I took the dare, got escorted off the field by security, lost a lens cap, but took some great pictures for those 2 minutes I was on the field. It was not until later President Ribeau; the president of Howard, came by to hand out one of kind Morehouse vs Howard Classic t-shirts. My friend yelled to the president: "My friend traveled from Kenya to come to this game." Not only did Ribeau's wife give me the LAST t-shirt, but I also got a quick picture with the president and his wife, along with my friend. Nevertheless, Howard won the game with a minute left on the scoreboard. That was the icing to the end of my trip." Greg: "Months into working at my new job, I get the news that I did not pass the CA exam, again! So, for two months I worked 40hrs a week, studied to retake the bar from 7pm-1am daily, and couldn't really even speak to, let alone see my girl, who's studying abroad in Paris for the summer. When the test is over I treated myself. I packed a bag, dusted my passport off, and took a 14 hour flight to Paris. I touch down and am greeted by a smiling face that I've haven't seen in person in more than 4 months. We embraced, roamed the "La Ville-Lumière" ("The City of Light"), and then did something truly LA, and went to The Do-Over! Same great DJs, similar outdoor setting, but this time four things were noticeably different: 1. the infamous Do-Over sangria did not make the trip overseas; 2. the crowd was an eclectic mix of Hip Hop fans who all had French accents; 3. Aloe Blacc wasn't hosting, but one of top 5 favorite rappers/singers was, Phonte (of Little Brother and +Foreign Exchange); and 4. my girl was out there grooving with me in the Parisian sun to the West Coast stylings of DJ Quick, Tupac, Snoop, and Dre. To paraphrase Ice Cube, it was a good day! If you don't believe me, check the attachment!" Greg won for his photo/video (I felt like I was there!!) , his mention of two previous #WilsonsGuide posts (The Do Over and my interview with Phonte), his perseverance with the bar exam, for LOVE and for experiencing a little bit of LA in Paris!!! Once your girlfriend is back, make sure you take her to brunch!! Thanks to all who entered, and look out for the next giveaway, coming soon! The 4-1-1: The arts pass doesn’t only offer free museum admission; it also offers 10% - 50% discounts at museum stores. When I imagine why tourists might visit LA, often times, the more blatantly obvious reasons surface: to see Hollywood, Beverly Hills, Rodeo Drive, the beach…to experience our marvelous weather, our laid-back vibes, the beautiful people. and that’s for LA’s museums. This city’s museums have truly enriched my life in so many ways. I mean, who would I be without my youth science classes at the California Science Center? 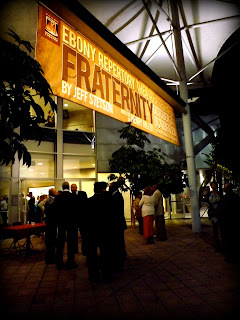 Or without the sultry summer concert series at the Getty Center? Or without my education about the Holocaust at the Museum of Tolerance, through its sobering, interactive exhibits? So as a huge museum enthusiast myself, when I was informed me about LA Tourism’s latest “Museums LA” program, I excitedly jumped on board to learn more about it. In a nutshell, anyone who books a hotel stay through the LA Tourism website for the month of October and beginning November gets a complimentary Arts Admissions pass to visit 30 museums. You can visit as many as you’d like, so long as you're only visiting each place one time. Museum Row: Located on a stretch of Wilshire Blvd. known as “Miracle Mile,” four museums are within walking distance of one another. LACMA (the Los Angeles Museum of Contemporary Art) has 100,000+ pieces of art, including the very awesome “Levitated Mass” exhibit (pictured down below), which I first saw while on a Bikes and Hikes LA Tour, another #WilsonsGuide pick. 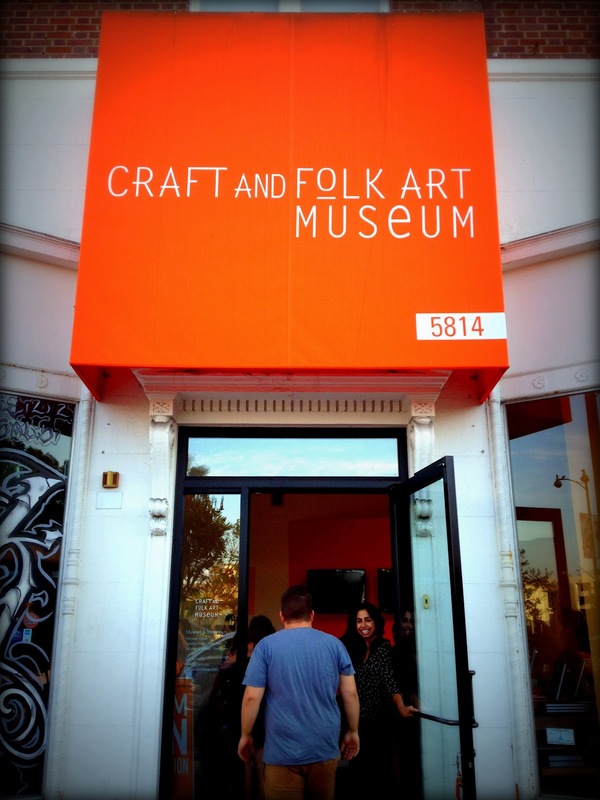 There’s also the Craft and Folk Art Museum, which has a very cool exhibit that debuted this past Saturday. It’s entitled L.A. Skin & Ink and provides an in-depth look into the SoCal tattoo scene. The Page Museum at the La Brea Tar Pits and the Petersen Automotive Museum are also located in Museum Row. 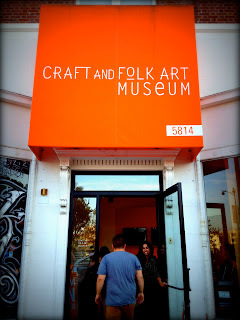 Side note: Fun fact #534 - close to these museums on Wilshire Blvd. is the longest piece of the Berlin Wall outside of Berlin. Make sure to check that out! Exposition Park: Adjacently south of the USC campus (fight on!) is this stretch of land, home to three exceptional museums: the California African American Museum, the Natural History Museum and the California Science Center, which will be home to the NASA Endeavour space shuttle, starting October 30th!!! Getty Center: Sitting high above in the mountains of Brentwood, aside from having extensive collections of European art, the Getty also has unparalleled sweeping views of the city. Take a stroll in its gardens, snap a few scenic shots, stay for one of its “Saturdays Off the 405” concerts or eat at one of its restaurants. Huntington Library, Art Collections and Botanical Gardens: Don’t be fooled by the word “library;” this Pasadena gem is so much more than books and old, stuffy librarians. With 14 diverse gardens on 200+ acres of land and a quaint tea room, you can easily spend a whole day here. So if you’re planning to take a vacay – or a “stay”-cay – in the very near future, I highly recommend booking your hotel stay through the LA Tourism website so that you can also explore museums at no additional cost. Whether it’s visiting one museum or making a day of frequenting many, I guarantee your life will be enriched afterwards. See you at a museum soon!